Mathematical Models of Plant-Herbivore Interactions addresses mathematical models in the study of practical questions in ecology, particularly factors that affect herbivory, including plant defense, herbivore natural enemies, and adaptive herbivory, as well as the effects of these on plant community dynamics. The result of extensive research on the use of mathematical modeling to investigate the effects of plant defenses on plant-herbivore dynamics, this book describes a toxin-determined functional response model (TDFRM) that helps explains field observations of these interactions. 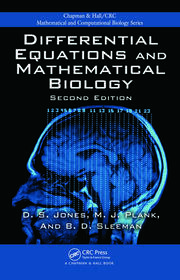 This book is intended for graduate students and researchers interested in mathematical biology and ecology. Part I Basic Theory and Simple Models. Introduction. Predator-prey interactions. Overview of some results of plant-herbivore models. Models with Toxin-Determined Functional Response. Part II Applications. Plant quality and plant defenses: Parallels and differences. Herbivore strategies: the role of plant quality and defenses. Plant toxins, Food Chains, and Ecosystems. Fire, Herbivory, Tree Chemical Defense, and Spatial Pattersn in the Boreal Forest. Example of Mathematica Notebooks. Zhilan Feng is a Professor of Mathematics at Purdue University. She is an editor for Journal of Theoretical Biology, Mathematical Biosciences, Mathematical Biosciences and Engineering, and SIAM Journal on Applied Mathematics. Donald L. DeAngelis is a Senior Scientist with the US U. S. Geological Survey and Adjunct Professor at the University of Miami. He is subject editor for Ecosystems and Mathematical Biosciences. 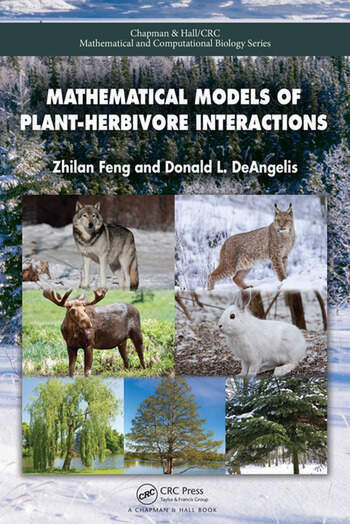 "Mathematical Models of Plant-Herbivore Interactions by Feng and DeAngelis addresses both the history and complexity of the modeling of plant-herbivore interactions. It is particularly noteworthy in its integration of mathematical formulations with the underlying life-history processes and ecological mechanisms by which plant toxins, plant competition, and multi-trophic-level population interactions influence the spatial and temporal dynamics of plant-herbivore interactions." "This book will be of great assistance to investigators seeking to develop quantitative models to describe the complex interactions between plants and herbivores." "This book makes important contributions in theory and application of mathematical models to understand plant-herbivore systems. The authors progress logically from traditional predator-prey and plant-herbivore models to models in which plant toxins are explicitly incorporated. In addition to theory, toxin-determined functional response and related models are applied to address issues such as resource allocation strategies by plants, herbivory under risk of predation, and implications of plant toxins and predators for population dynamics, dispersion, and plant succession. The book’s breadth of content, tests of model predictions with data, and novel treatment of important problems in ecology will make it an ideal textbook for graduate students and an indispensable reference for experts in ecology and mathematical biology." "Mathematical Models of Plant-Herbivore Interactions by Feng and DeAngelis is, to put it simply and succinctly, a masterful exposition of one of the core problems of mathematical ecology, namely predator-prey models, especially as adapted to plants and the herbivores that eat them. Feng and DeAngelis begin with a comprehensive description of the problems of predators and their prey and how the classic predator-prey models have addressed them. They then introduce a very promising plant-herbivore model based on the production of toxins by plants to deter herbivores. The remainder of the book is an elaboration of this model, including comparison with data from the boreal forest, the extension of the model to a spatially heterogeneous environment, and a sketch of an extension of the model to include fire. The stability of each model is analyzed using bifurcation theory. The mathematical analysis and the writing is clear and crisp. Mathematica Notebooks of the major models are included in an appendix. 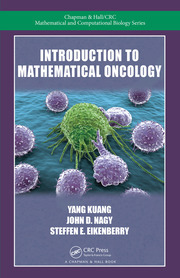 The book would be an excellent resource or textbook for an advanced graduate class in mathematical ecology. If you are interested in or actively engaged in studying plant-herbivore interactions, this book belongs in your hands, open, with you reading it and thinking carefully about the many interesting ideas it contains."